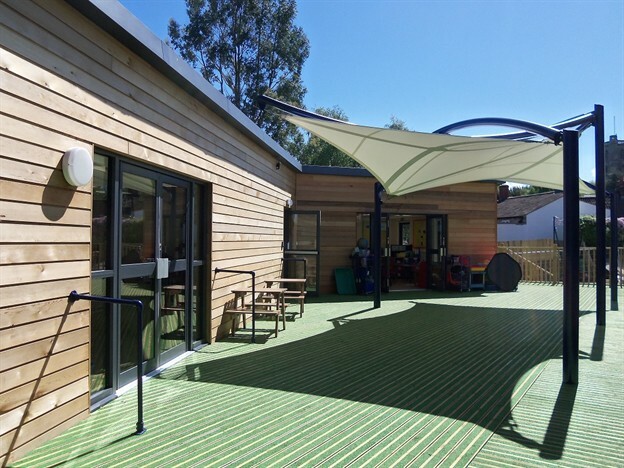 As part of an exciting new extension at Chew Magna Primary School, we were asked to install a canopy that provided central shade to the new decked area. 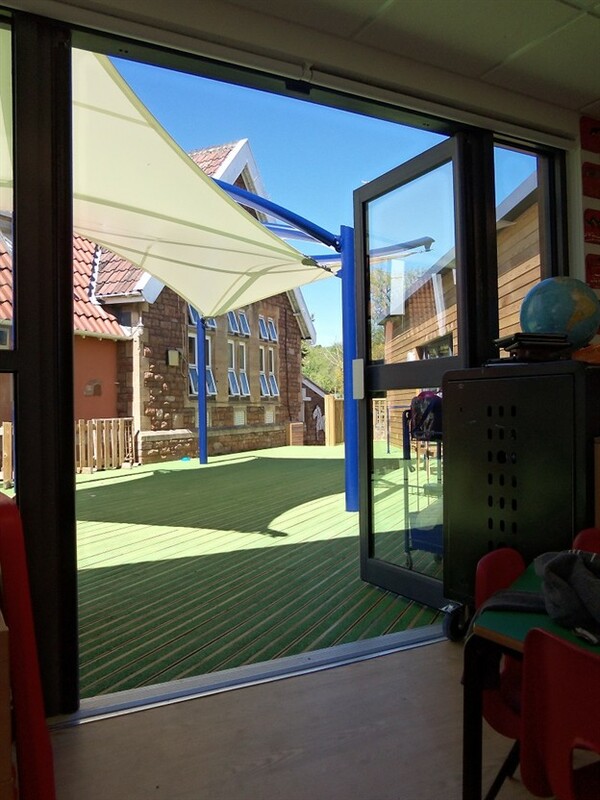 The client chose the Nebula, a popular choice from our exterior range of canopy shapes. 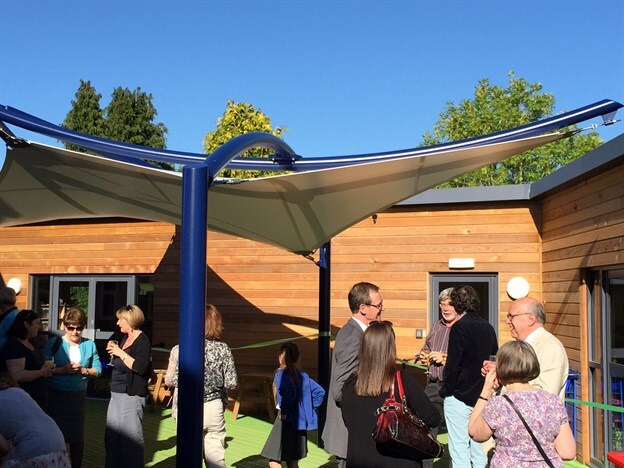 Located within a flood region, the planning authority required that this canopy and the new classrooms being built, were elevated above ground to prevent future flood damage. 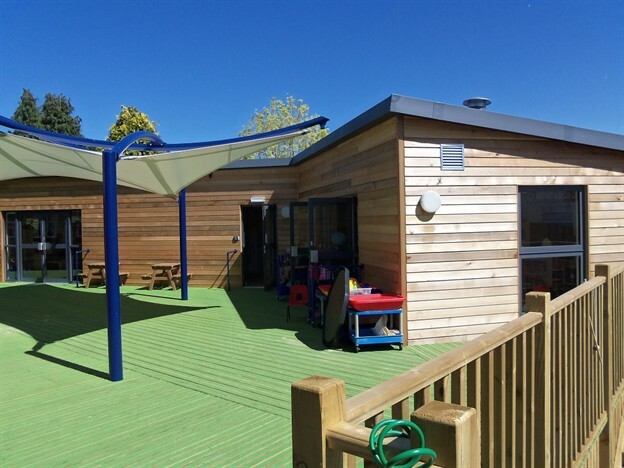 Our canopy framework bolts into the steel deck sub frame (having all the foot and bolt details below the deck surface) leaving a clean and smooth interaction between the two. 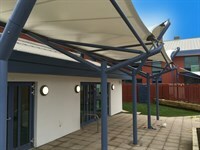 The Nebula canopy is a 4m x 8m structure, and for this school we used a white PVC fabric and blue coated steelwork. 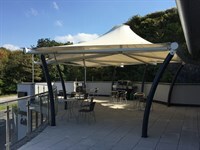 The four column design provides good clearance below.